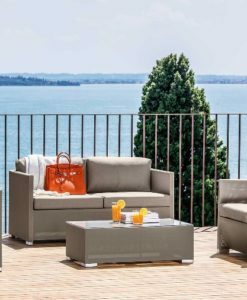 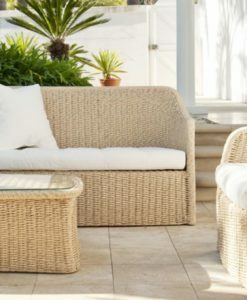 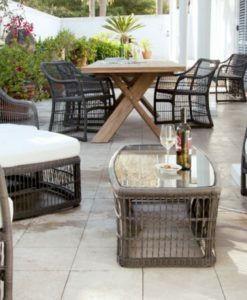 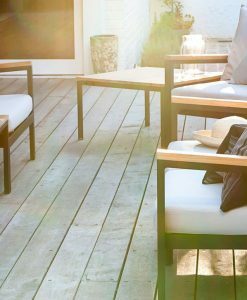 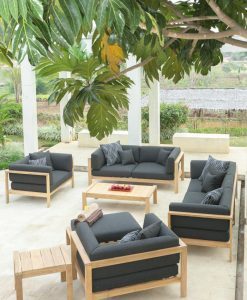 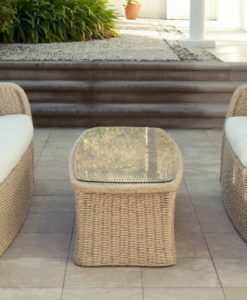 The Havana living set is a revival of traditional design, made from 6mm polyrod synthetic wicker in patina grey, the same color as weathered teak. 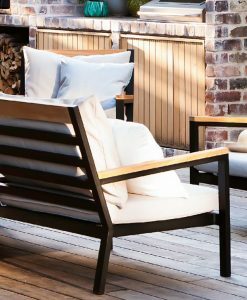 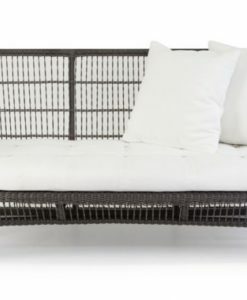 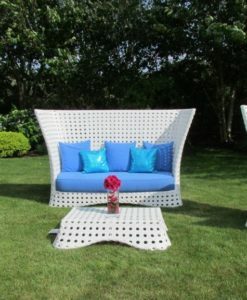 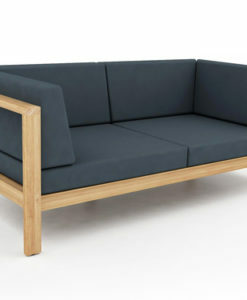 The edges of each piece features plaited weaving that give stature and a charismatic feel to the bench. 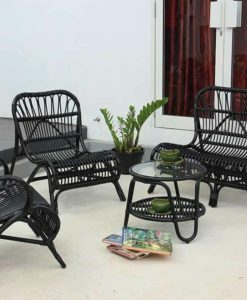 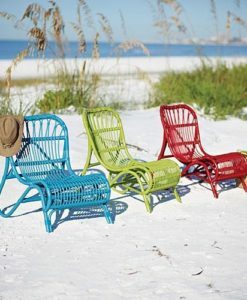 Made from hand-woven synthetic rattan on aluminum frame. 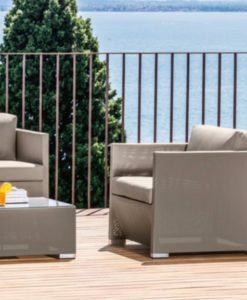 The club chair is a substantial piece with a spacious seats, allowing for more freedom with seating positions. 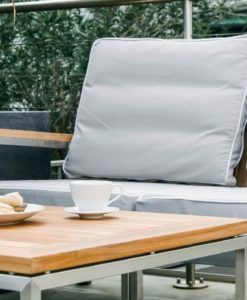 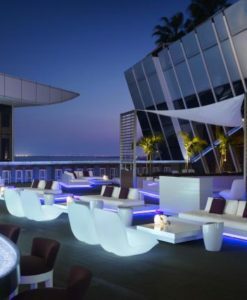 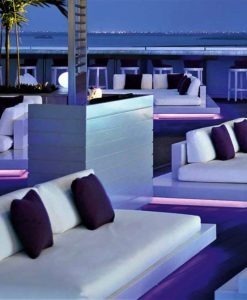 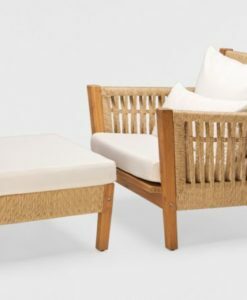 This collection is perfect for hotels lounging or any hospitality project, with a great traditional look this collections offers comfort the two seater has a high back rest with a matching ottoman for extra comfort perfect for any contract environment. 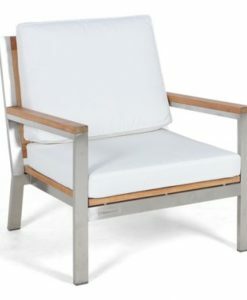 A-grade teak details on the bottom frame.